The Adelaide and Port Adelaide tram systems just before the first closure of a tram line in Port Adelaide. NB (1): The route numbers given above and on the map are for the convenience of readers, and were not used by the operator (who used the route designation given in the second column). I adopted them from the map designed by R.T. Horne (see in the printed sources). NB (2): All Adelaide routes (G and 1-23) started in the city centre, but I have no sources as to where the city terminal of any one route was. In any case, many routes were part of through services, with no actual terminal in the city centre, just a change of route designation. For example, the Cheltenham - Wayville West (routes 3 and 20) were part of a through service. In Port Adelaide, all routes (24-27) started in the centre of Port Adelaide at the corner of St. Vincent St. & Commercial Rd. NB (3): Port Adelaide routes were abandoned as follows: 27: Nov. 1934; 24-26: July 1935. Horse tramways (1): 1861 - 1866. Horse tramways (2): Dec. 1878 - 1914. Electric tramways in Adelaide: 9 March 1909 - today. Electric tramways in Port Adelaide: Apr. 1917 - July 1935. The Tramway Museum, St Kilda, north of Adelaide, has a large collection of preserved trams, often used for tourist rides on city streets. Hammond, I. 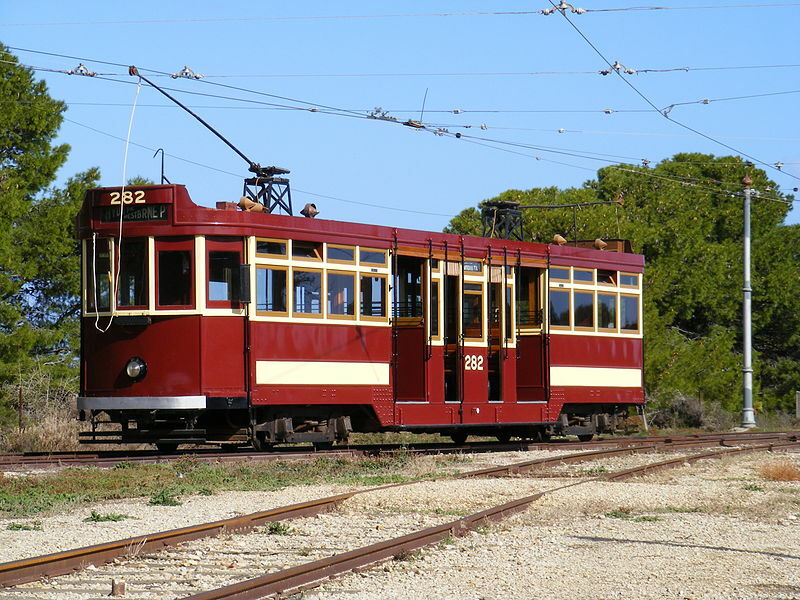 "Port Adelaide: Light relief for old railway" Tramways & Urban Transit, Apr. 2006 (69: 820), p.158-159. Horne, R.T. "Adelaide", letter to the editor (with a map) in Modern Tramway and Light Rail Review, March 1973 (36: 423), p.98. Price, J.H. "Adelaide, 1988" Modern Tramway and Light Rail Transit, Oct. 1989 (52: 622), p.337-343. 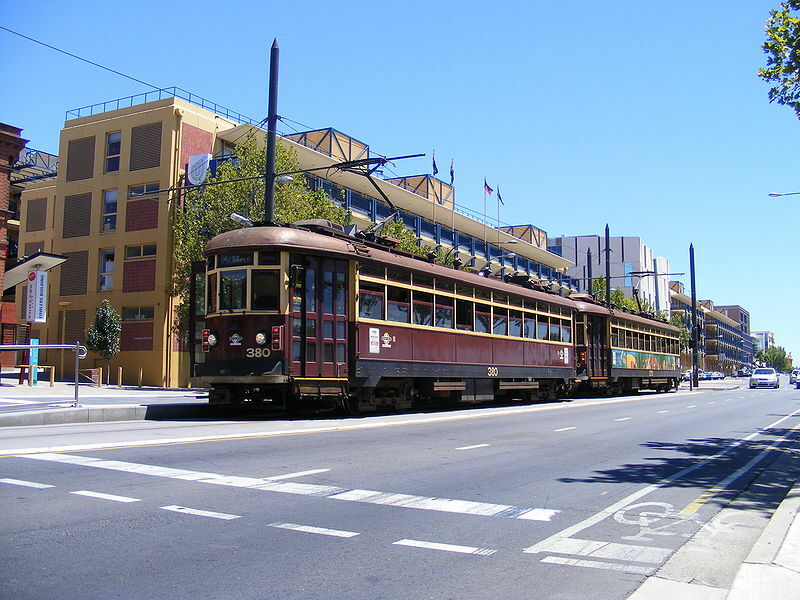 "Rethinking Adelaide" Tramways & Urban Transit, Apr. 2018 (81: 964), p.140. Taplin, M. & Hammond, I. 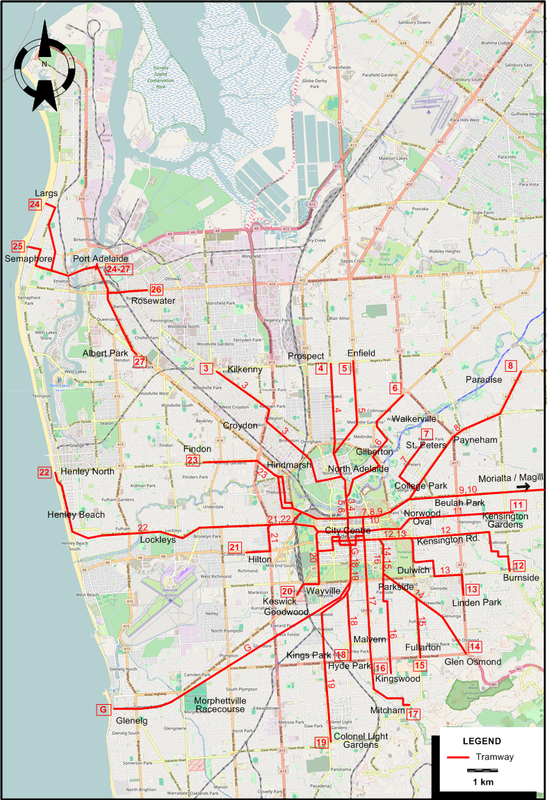 "Systems Factfile No.64: Adelaide, Australia" Tramways & Urban Transit, Jan. 2013 (76: 901), p.19-22.